Welcome to the new and exciting Rainbow Room webpage! We have had a very busy start to the new school year and with the children's help we are enthusiastically refreshing our nurturing environment. 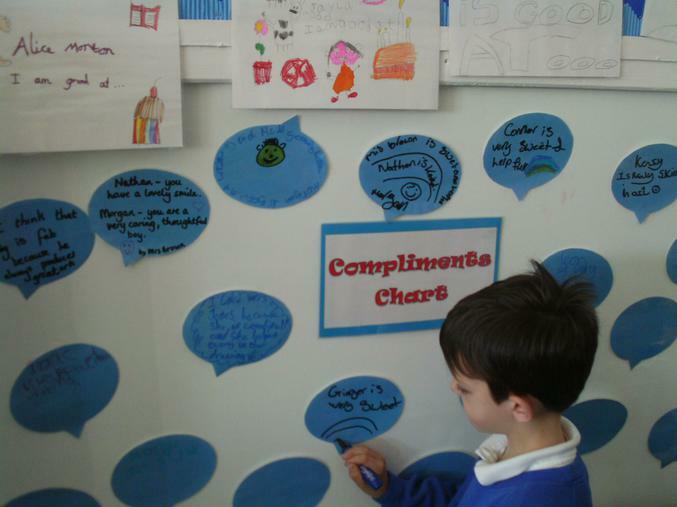 This is a picture of our new and interactive compliments chart. 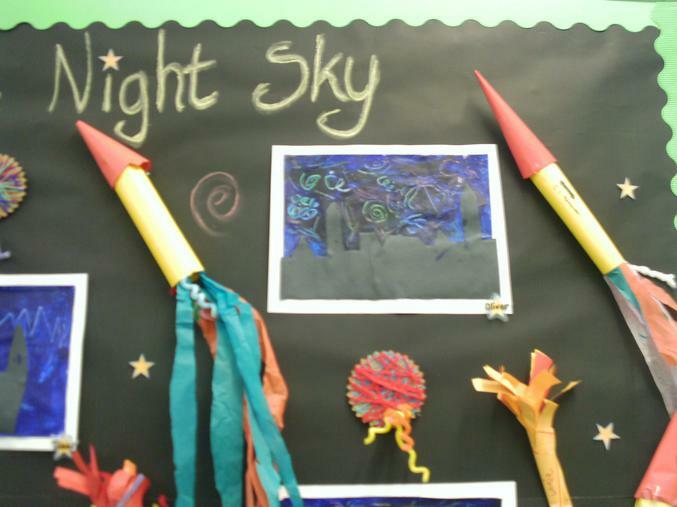 Children are encouraged to think about each other's star qualities. They complete a speech bubble and by doing this they are boosting each other's self esteem. 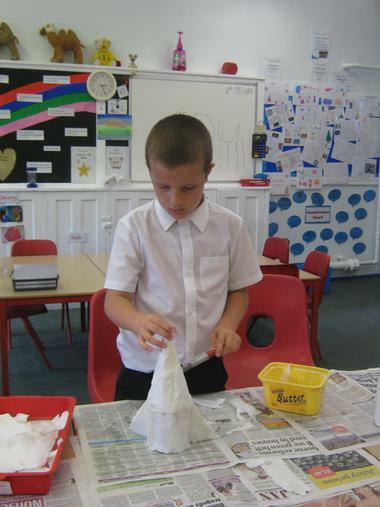 We can't wait to share more of our fantastic Rainbow Room activities - keep checking this page! Nurture Groups aren't taking place in Rainbow Room at the moment .... keep checking this page for other activities happening here. 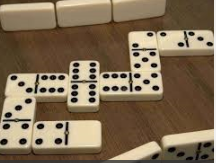 Today we had a game of dominoes. 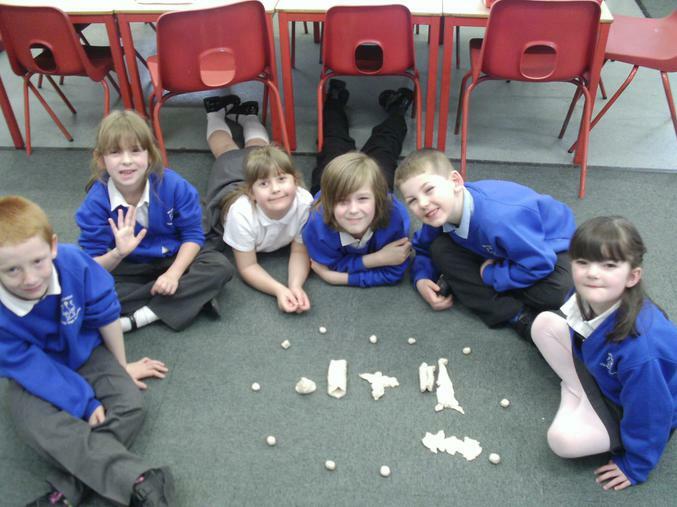 Some of the children in the group already knew how to play the game so they took the responsibility of sharing the rules with everyone else. We played two fun games: we took turns, helped each other and learnt how to be respectful, gracious winners and cheerful losers! For the past couple of weeks, some children have been lucky enough to work with Lila, a special visitor from the Dogs Trust. Lila is a black dog with a very silky, shiny coat. Keeping Lila in mind, our activity today was to think about different pets and how we should look after them. 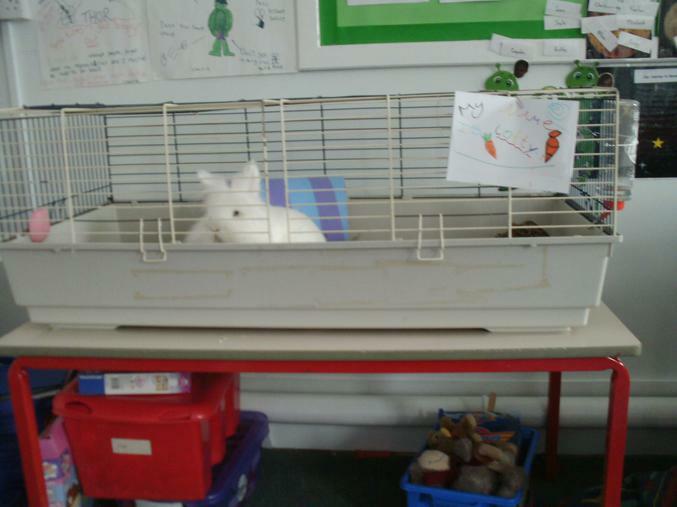 We realised that having a pet carries great responsibility. 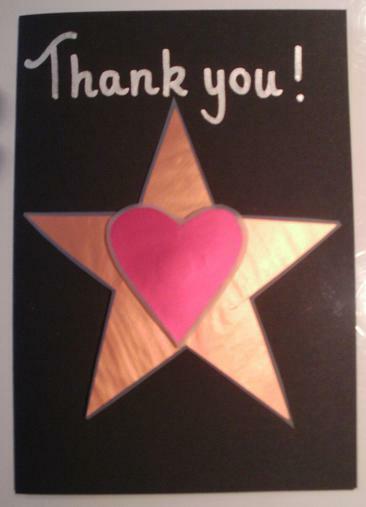 To prepare for Mother's Day on Sunday, we made some lovely cards for some special people. 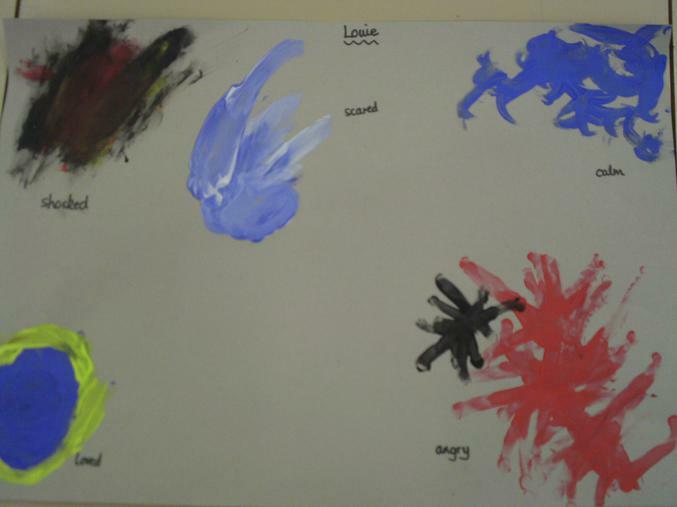 The children in today's Rainbow Room session turned into amazing story tellers! 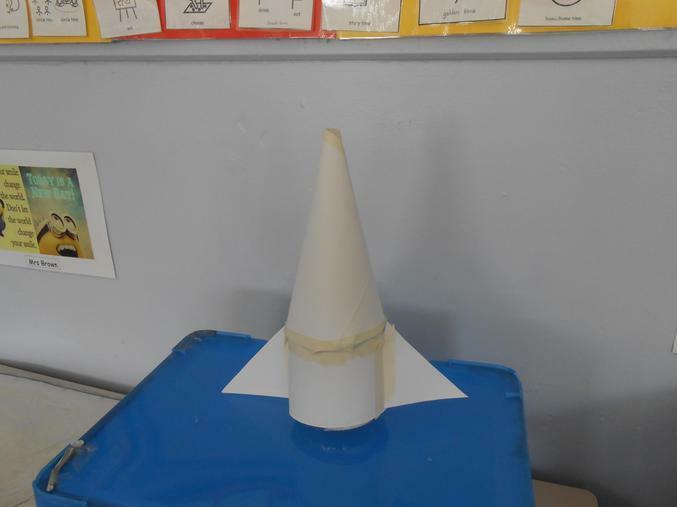 A simple piece of playdough was transformed into a magic bean. 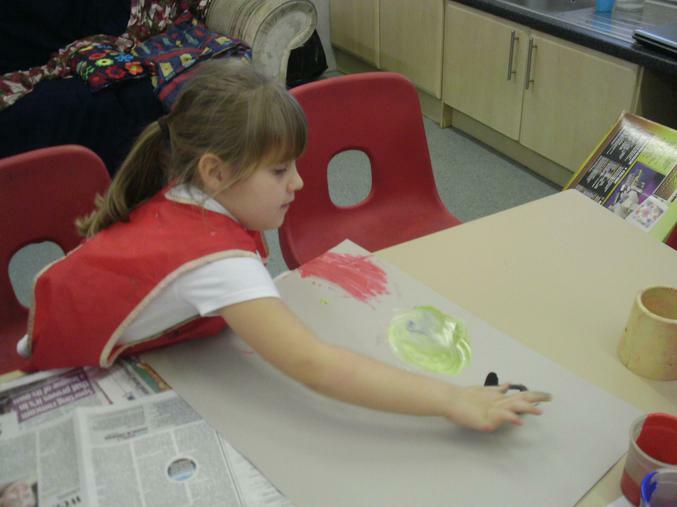 We each took it in turns to use our imaginations and turn a bit of playdough into the next part of the story. 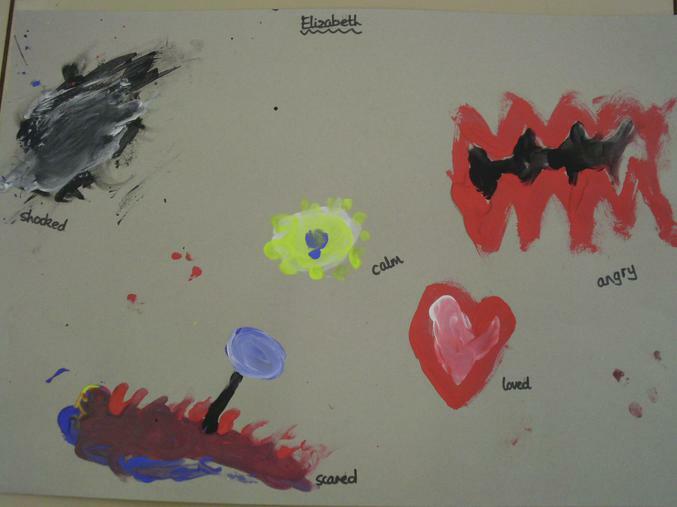 .... look out for a display of this work coming soon to a wall in Rainbow Room! In Rainbow Room today our group activity was all about why we do 'Show and Tell' as part of our routine - the next page of our Rainbow Room book. 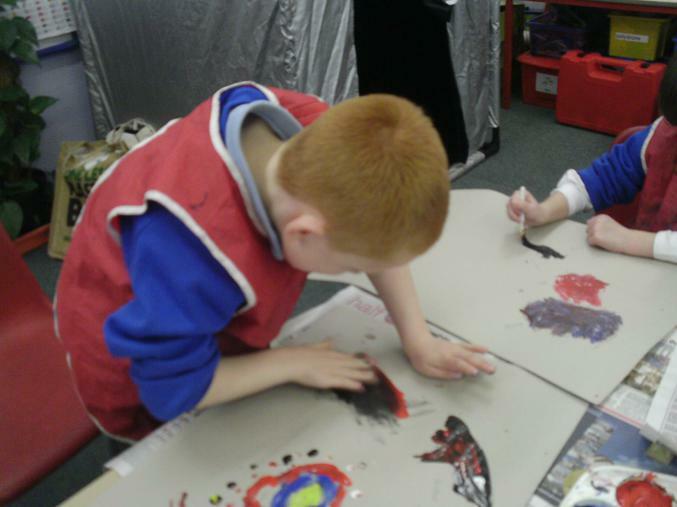 The children decided that they all enjoy this part of our sessions so much because it allows them individual time to show, and talk about, things that they are proud of, things that are special to them or particular areas of interest. The children, AND adults, often learn a lot during 'Show and Tell' time! 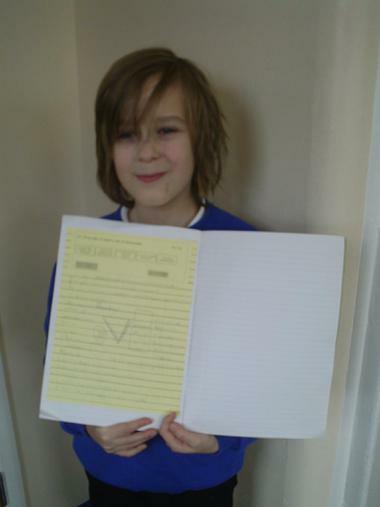 Louie brought his Learning Journey for 'Show and Tell' - he was extremely proud of his hot task, completed during his English lesson that day. Great work Louie ! 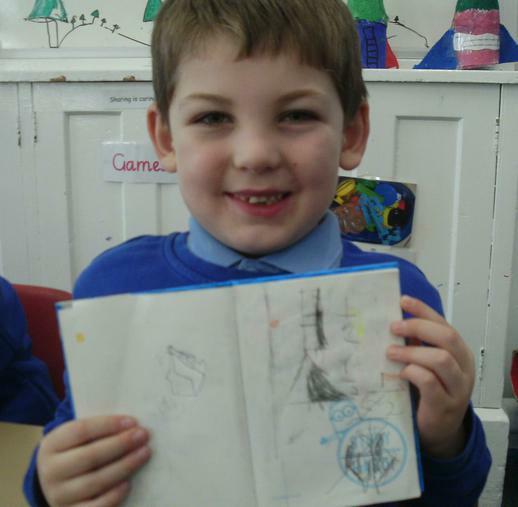 Jack showed us a book that he had made at home. 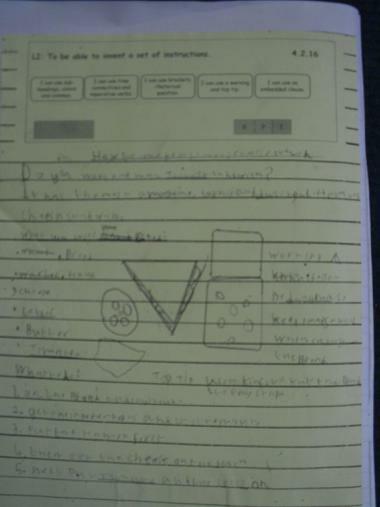 It was full of fantastic things including some extra fractions work like he had been doing in class! Thanks for bringing your book to Rainbow Room Jack! 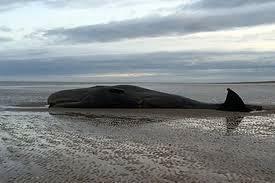 In today's Rainbow Room session the children and adults had a philosophical discussion about the plight of the whales that washed up on Skegness beach. We took it in turns to speak and listen to each other - thinking about what might have happened to the whales, causing them to be found so far from their usual habitat. It was quite an emotional discussion but it took place in a nurturing environment. 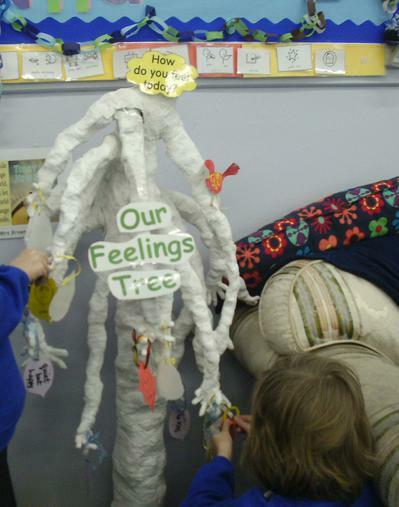 We continued working on our Rainbow Room Book this week, spending time thinking about why our Feelings Tree Circle Time is so valuable. 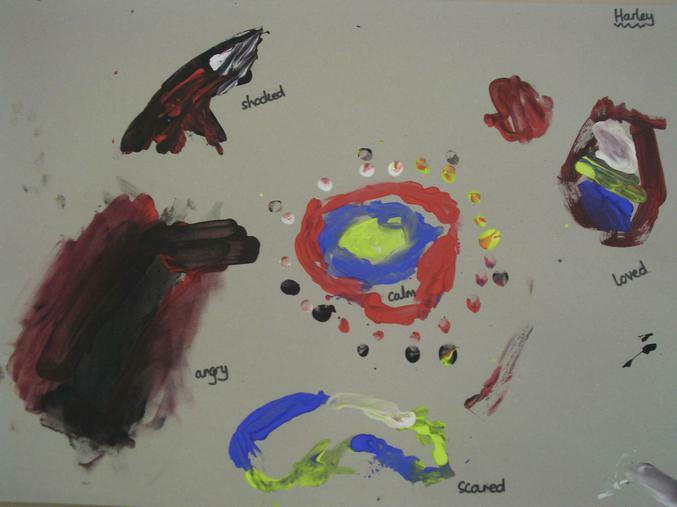 We thought about why it is important to share our emotions and learn how to react to how other people are feeling. The children spoke about how special it is to them to know that they all have the right to speak and be listened to. This is a picture of Louie putting a leaf on the Feelings Tree. Each leaf shows a different feeling. When the children arrive at Rainbow Room they choose a leaf, hang it on the tree and they understand that their feelings will be recognised and acknowledged. 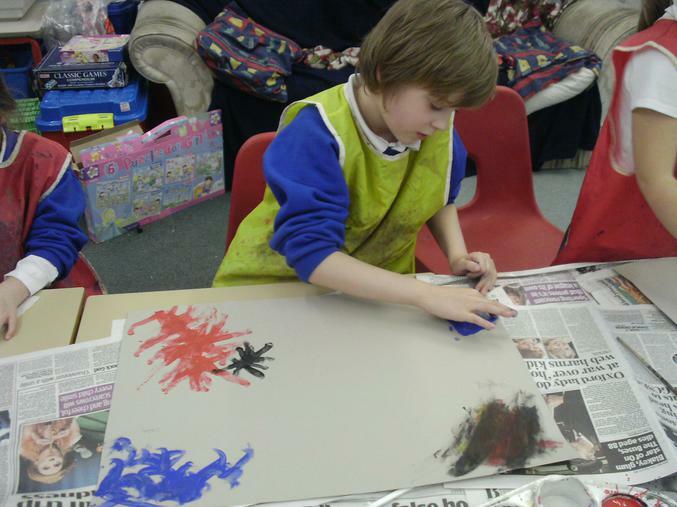 This week we started work on a new project..... we are making a special book all about Rainbow Room! The book will show and describe all the things we do during a typical session in the Rainbow Room, and explain why we do them. This week we started by thinking about why we do the register, and what benefits the children get from completing the register themselves. !!!!!!!!!!!!!!!!!!!!!!!!!!!!!!!!!!!!!!!!!!!!!!!!!! Happy New Year! !!!!!!!!!!!!!!!!!!!!!!!!!!!!!!!!!!!!!!!!!!!!!!!! 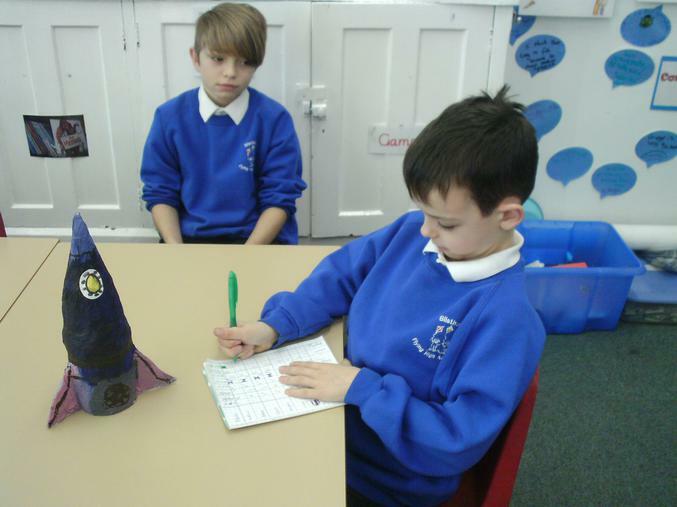 In Rainbow Room, our children have fantastic ideas to help each other. 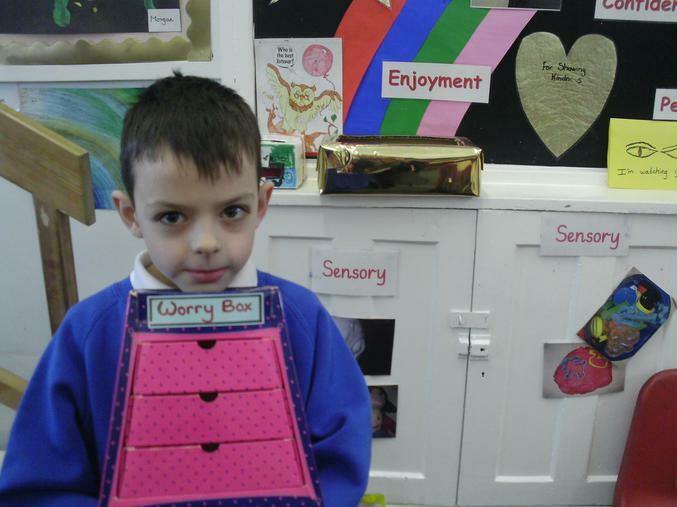 Today Morgan recycled a fancy box belonging to Mrs Jones. He decided to turn it into a 'Worry Box'. Children who visit Rainbow Room now know that if something is bothering them they can write it down and post the worry into the box. Big worries go into the big drawer, and so on .... We also agreed that, sometimes, simply writing down the worry can make you feel better. With lots of Christmas events taking place in school this week, such as Nativity plays and parties, some of our groups haven't got together .... but we still managed to find time to fit in a bit of Christmas cookie baking. 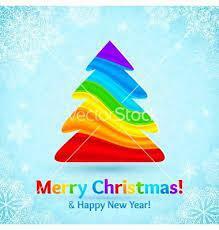 Mrs Jones, Mrs Brown and all of the Rainbow Room children would like to wish you a very Merry Christmas ! 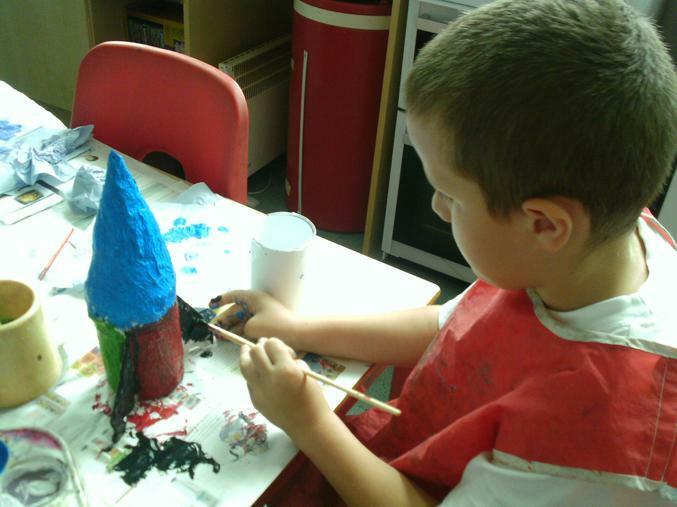 We started to get into the Christmas spirit this week in Rainbow Room - and the pots of glitter were well used!!!! 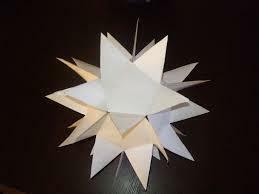 Look out for beautiful 3D stars and Christmas cards decorated with presents and bead garlands coming home soon. 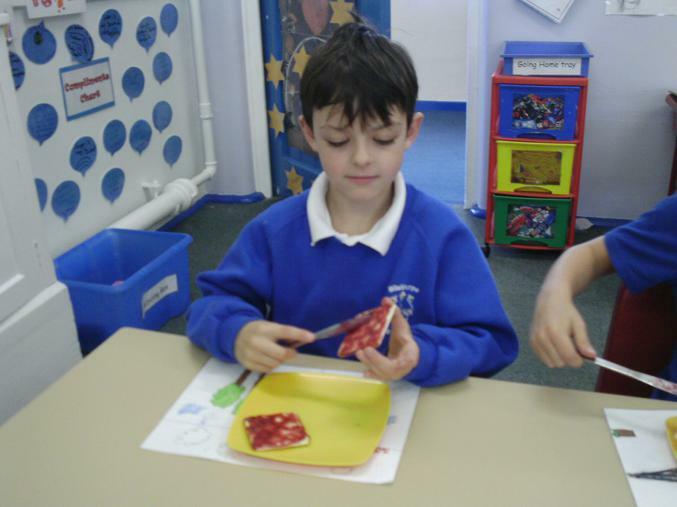 In Rainbow Room this week our groups have been finishing resources for their 'Journey to Success' charts. 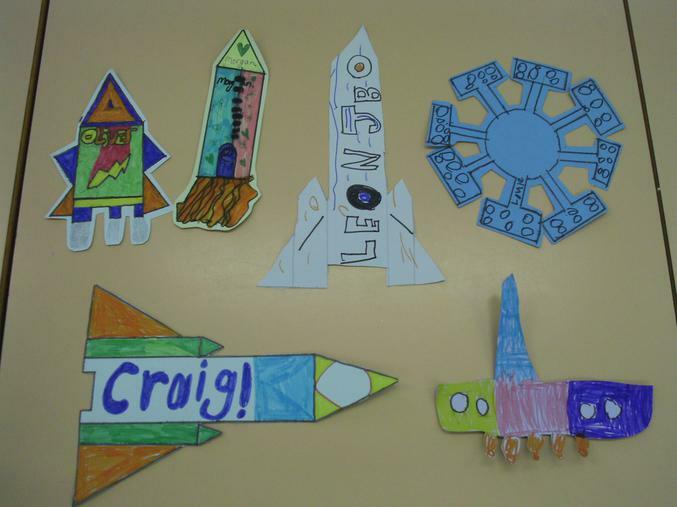 Our children made brilliant, individually designed space rockets. 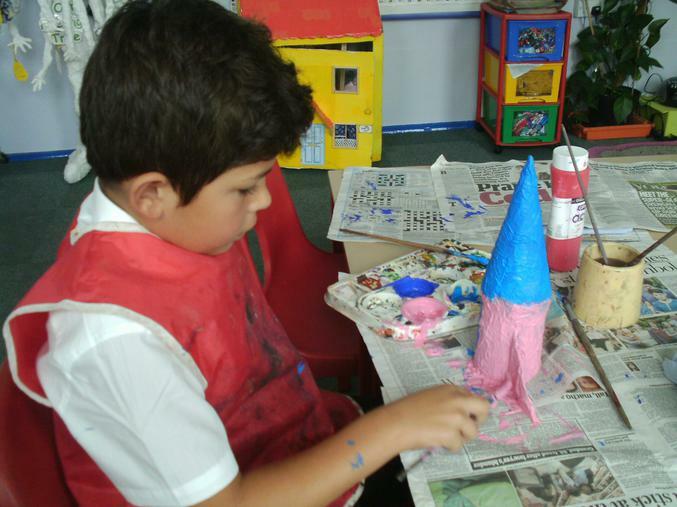 The safe and relaxed environment of Rainbow Room always gives us the CONFIDENCE to tackle challenging tasks. 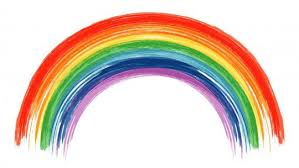 How could we not have a Rainbow Display in Rainbow Room??????? 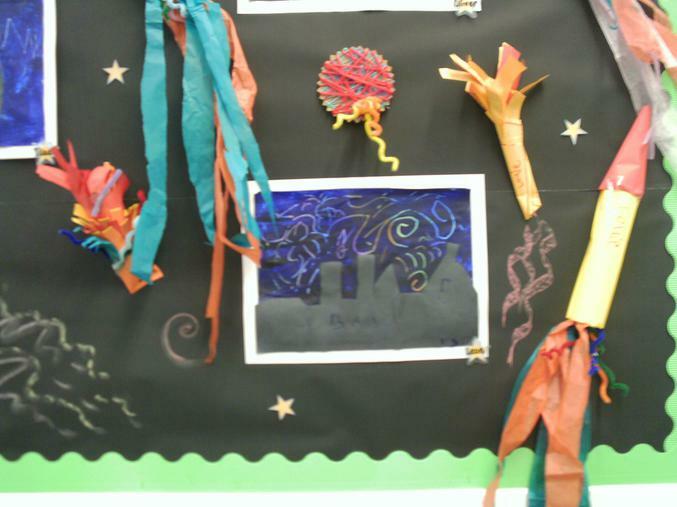 As you can see, our Rainbow Display shows our School Code and seven values. 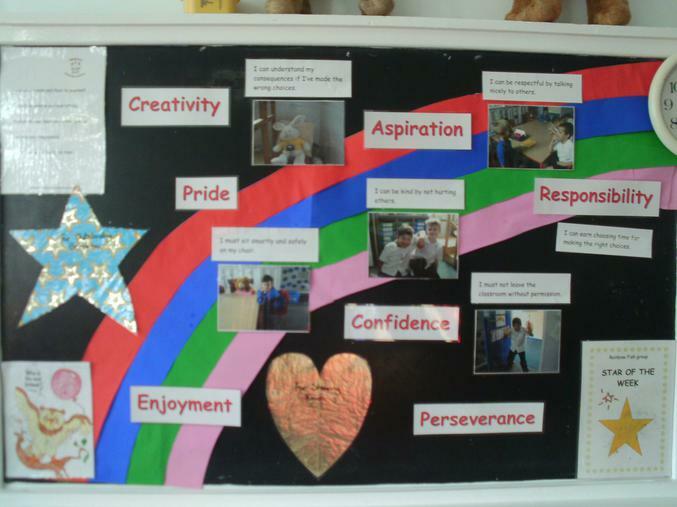 Also displayed are our rules and pictures, and our Kindness Heart, Best Listening Owl and Star Role Model. Today we were getting ready for Children In Need Day. 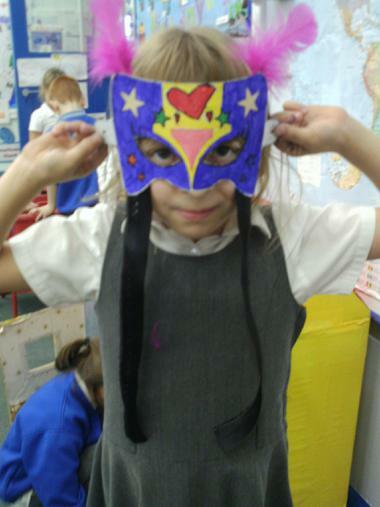 Elizabeth made a beautiful mask to wear on Friday as part of her Love Heart Girl Super Hero outfit. 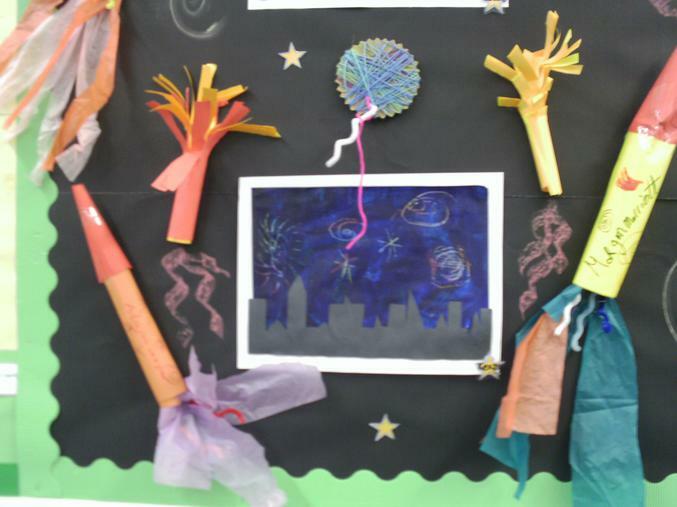 This week in Rainbow Room we have had lots of fun producing some cracking pieces of art work for our Bonfire Night display. 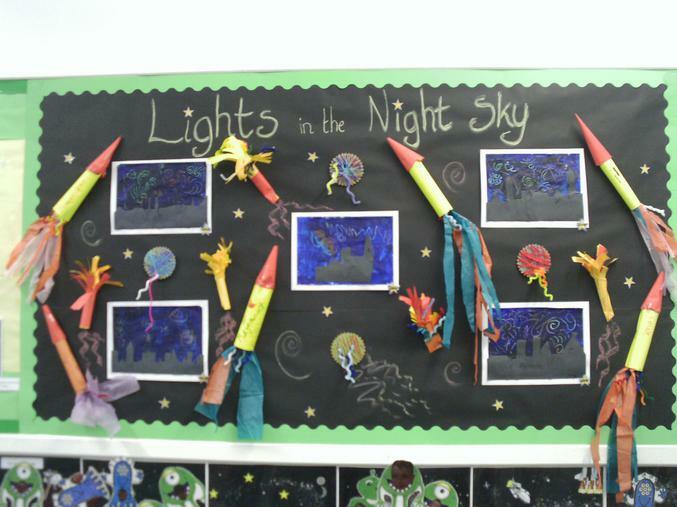 In Rainbow Room we always take PRIDE in our work. 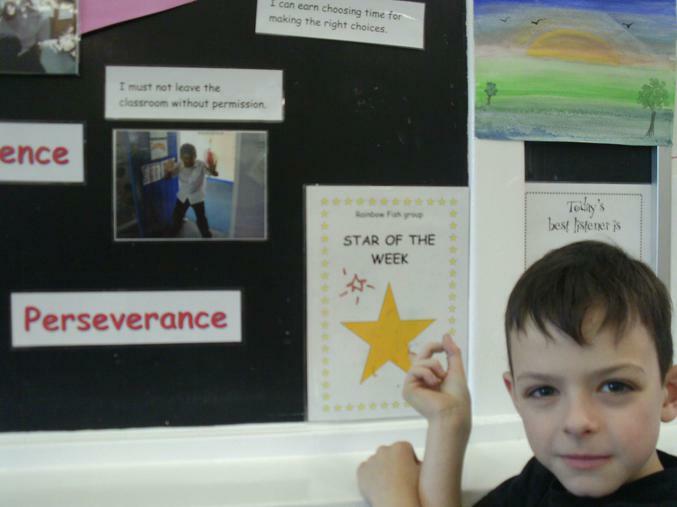 This week in Rainbow Room we have been promoting positive behaviour. 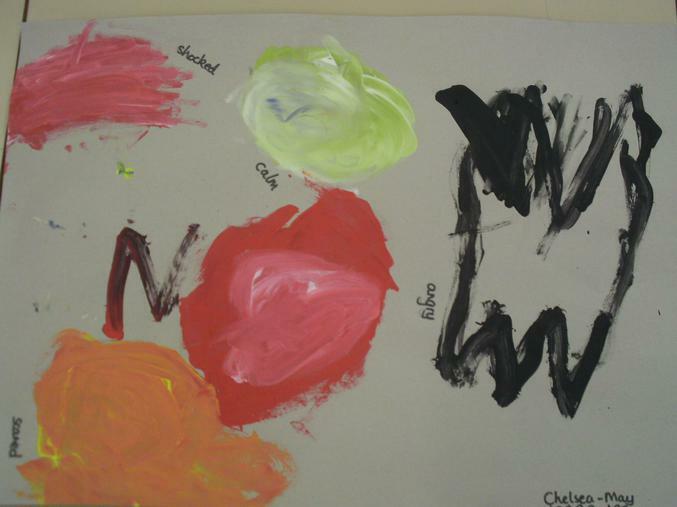 The children helped to decide which rules were the most important to display in Rainbow Room. To help with the understanding of these rules the children volunteered to have their pictures taken to produce a visual aid to accompany the words ..... these look amazing on our Positive Behaviour display. 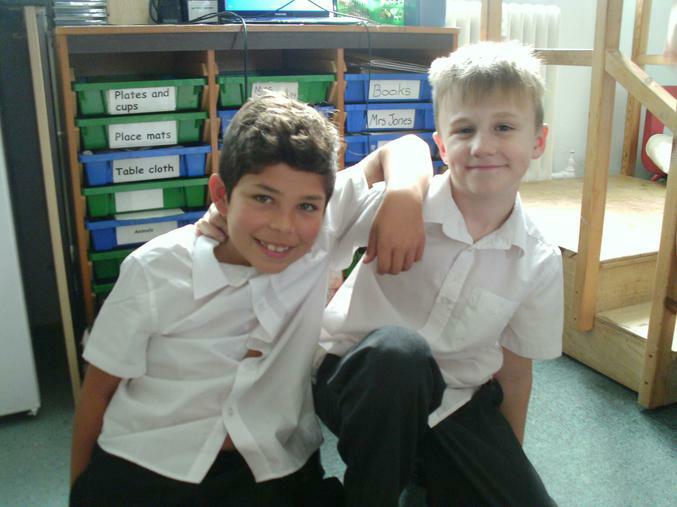 Check out Kenzy and Leon promoting the rule 'I can be kind by not hurting others'. Our project is nearing completion. 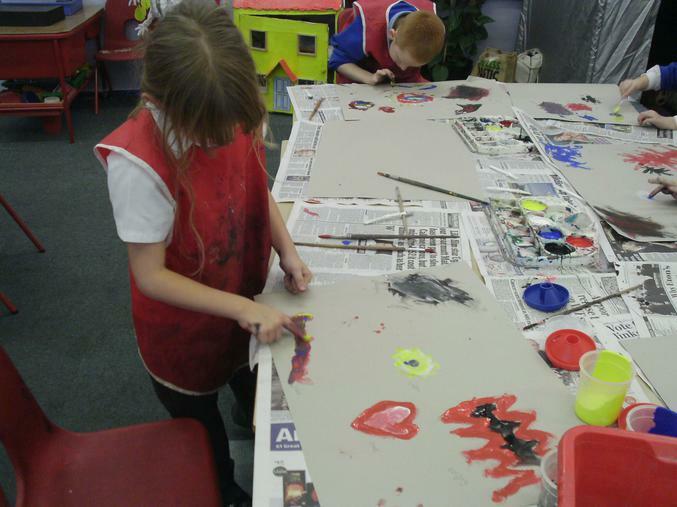 We had lots of ENJOYMENT adding colour to our creations. Look who has come to visit us in Rainbow Room! 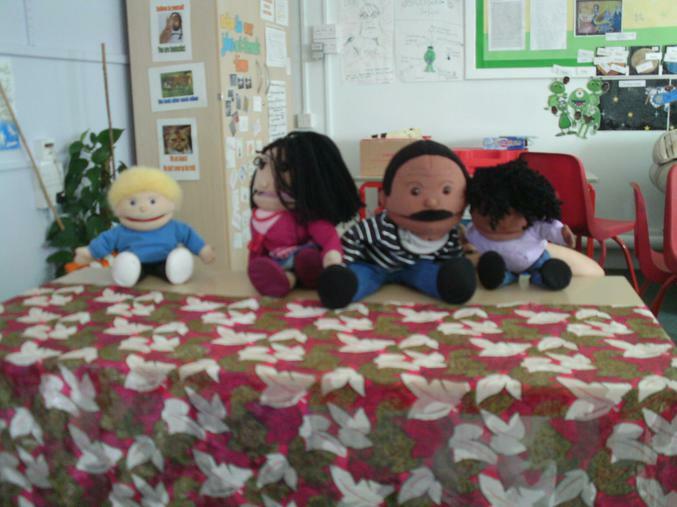 Today Craig treated us to a puppet show - it was fantastic! Assisted by Louie, who took the role of Director, Craig showed amazing CREATIVITY acting as 4 different characters and telling a funny, and at times emotional, story. Morgan enjoyed his snack today! 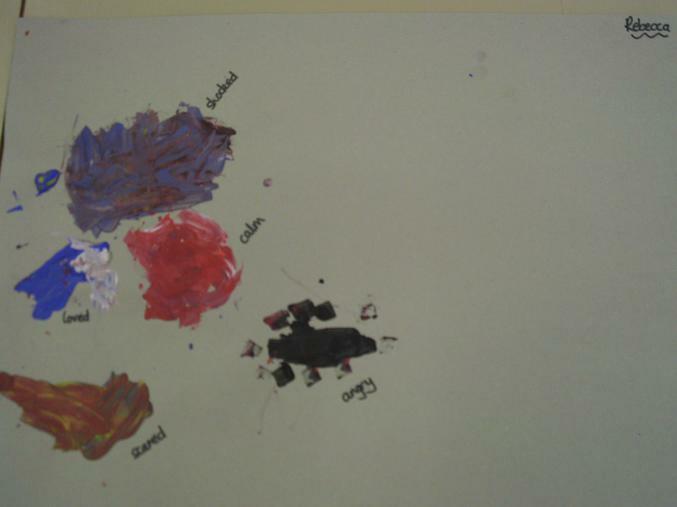 Today we have been learning to show pride in a piece of work. 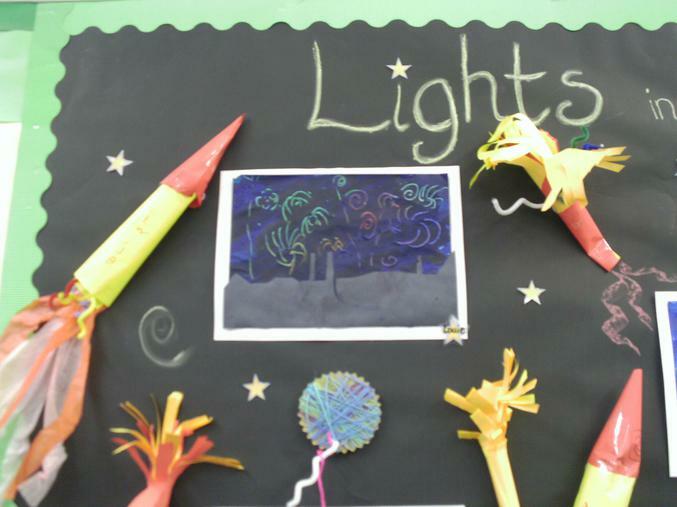 In order to feel a sense of pride we realised that to create a fantastic piece of work takes time and effort .... we have learnt that PERSEVERENCE is what we need to create great things. 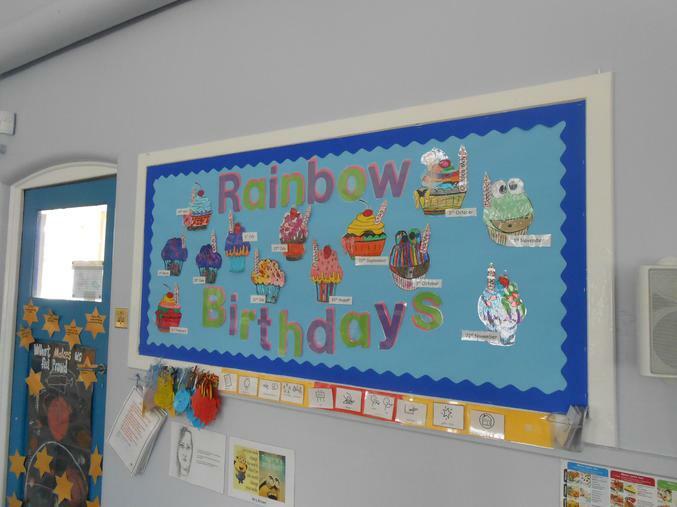 Check out our new 'Rainbow Birthdays' display .... doesn't the children's work look amazing! If you would like to know more about a typical afternoon in the Rainbow Room, please click on the following link to access a fact sheet. Also, we have added a link to the 'Nurture Group Network' webpage, which will tell you everything you need to know about Nurture and the principles and philosophy behind it.